Sadly that’s not always the case, so at Berringa we want to demonstrate the integrity of our honey. 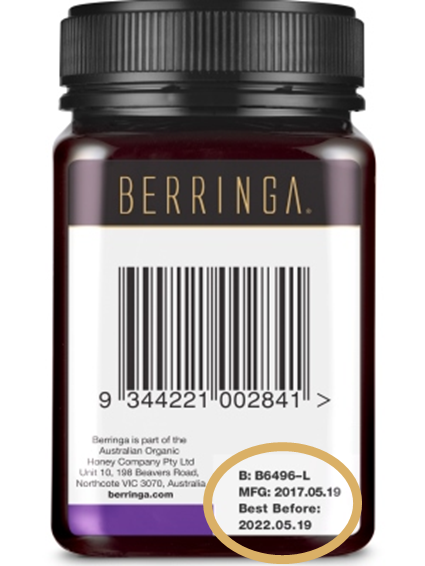 Berringa track honey from source to jar (and you can track your Berringa honey using our Authenticity Tracker). We have each batch independently tested using Australian Government NATA certified laboratories. The Authenticity Tracker is easy to use. All you need to do is type in the batch number, located on the back of your jar of Berringa Manuka Honey (see image below to help you locate the batch number).